Who needs laundry detergent?? I know that getting a deal on detergent is HUGE for all of us, so hopefully this Laundry Detergent Deals Round-Up with some of the most popular stores will help you save! This list is good 12/18-12/24. [%printable-list:LaundryDetergentRound-Up1218-122%] … [Read more...] about Laundry Detergent Deals Round-Up! Who needs diapers?? I know that getting a deal on diapers is HUGE when your children are little, so hopefully this Diaper Deals Round-Up with some of the most popular stores will help you save! This list is good 12/18-12/24. [%printable-list:DiaperDealsRoundup1218-1224%] … [Read more...] about Diaper Deals Round-Up! Van’s Gluten-Free Waffles Only $.54 At Target! Target has Van’s Gluten-Free Waffles on sale for $2.99 right now! Combine sale with coupon and Cartwheel offer to score boxes for $.54 each through 12/17! Here's how:Buy Van’s Gluten-Free Waffles $2.99 Use 40% Off Van’s Gluten-Free/Organic Waffles Target Cartwheel coupon (deducts $1.20) Use … [Read more...] about Van’s Gluten-Free Waffles Only $.54 At Target! 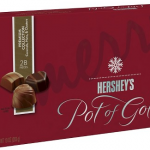 New Hershey’s Pot Of Gold Candy Coupon Plus Target Deal Idea! There is a great new $1 Hershey’s Pot of Gold coupon available to print! Plus, Target has 10 oz boxes on sale for $5. Combine coupon and sale with the 20% off Cartwheel offer to score boxes for $3 each through 12/17! Here's how:Buy Hershey’s Pot of Gold 10 oz Box $5 Use 20% Off Hershey’s Pot of … [Read more...] about New Hershey’s Pot Of Gold Candy Coupon Plus Target Deal Idea! New Maybelline Mascara Coupon Plus Target Deal Idea! There is a great new $3 Maybelline New York Mascara coupon available to print! Plus, Target has select Maybelline Mascara on sale for $4.27 right now. Combine coupon with sale to get Maybelline Great Lash Mascara for $1.27 at Target through 12/17! Here's how:Buy Maybelline Great Lash Mascara … [Read more...] about New Maybelline Mascara Coupon Plus Target Deal Idea! New Garnier Nutrisse Coupons Plus Target Deal Idea! There are some great new Garnier Nutrisse Hair Color coupons available to print!$2 Garnier Nutrisse or Garnier Nutrisse Ultra Color Hair Color $4/2 Garnier Nutrisse or Garnier Nutrisse Ultra Color Hair ColorPlus, Target is offering a free $5 Target gift card with the purchase of three … [Read more...] about New Garnier Nutrisse Coupons Plus Target Deal Idea!